George Beer, a Pennsbury resident, is one of the Landscapes3 Steering Committee members. 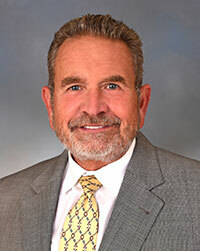 Beer is the founder and president of the Delaware Valley Development Company, a real estate development, building and investment company, specializing in affordable housing and land development in the Mid-Atlantic region. Beer has worked in real estate development business and management since 1984 and in the housing business since 1992. In addition to being a member of the Landscapes3 Steering Committee, he was involved with Landscapes2, the county’s current comprehensive plan. “It’s good to see that the county takes a very proactive approach as to the development patterns countywide as opposed to township by township,” he said. For more information about Beer, visit here. The Chester County Commissioners established the steering committee in late June as part the development of the county’s next comprehensive plan. The steering committee started meeting this fall to create the plan’s vision and goals.